Yesterday was quilting club day. So I took the halloween quilt along to pin ready for quilting. They have large tables to pin the quilts on. much easier than kneeling on the floor. 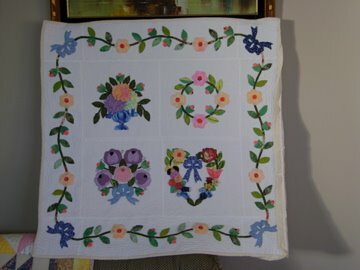 Now all I have to do is quilt it. I'm not sure how I'm going to do that yet. Any suggestion will be greatfully received. Sorry the quality of the photo isn't very good. 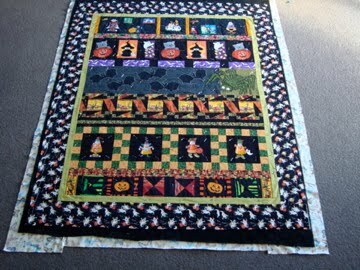 This is the row by row quilt that we made last year. The other ladies in my club who made the other rows did marvellous job.